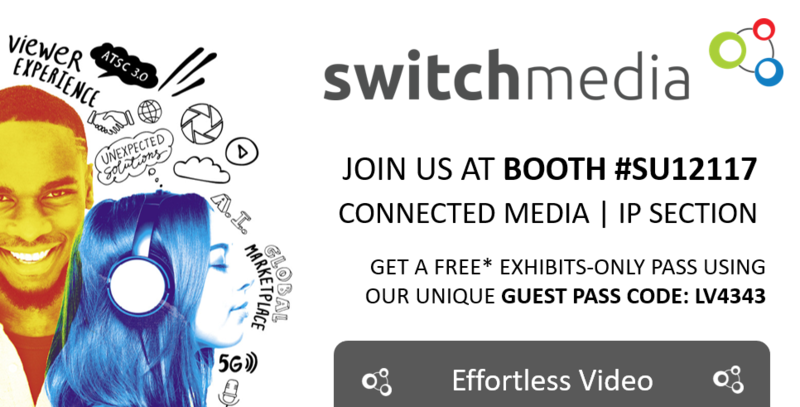 For Switch Media, key appointments for Europe, Middle East and Africa (EMEA), Märta Rydbeck as its Managing Director and Tomas Weber as its Technical Director will add further experience to the company’s global leadership team and assist it to deliver on a strategy to drive continued growth and industry disruption. 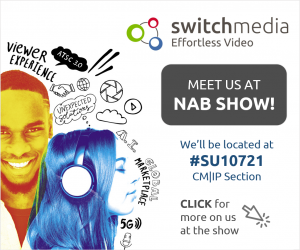 Switch Media, is launching its product suite, MediaHQ at NAB 2019, on booth SU10721. MediaHQ uses a powerful workflow engine and houses a flexible suite of modular components that integrate seamlessly with existing systems, which are supported by the company’s expert inhouse technical team to provide assistance 24/7. Switch Media is excited to have provided end-to-end development and delivery of the Freeview FV website, now available on all major browsers. In a world-first for the free-to-air (FTA) industry body, Freeview has launched the new FV online television platform, which allows viewers to stream live TV or use it for on-demand content needs. The growing number of over the top (OTT) streaming video services face being left behind if they fail to keep up with consumers ever increasing expectations, according to a new industry whitepaper. OTT Insights: Uptake, perceptions and the worldwide evolution 2018, released by Switch Media – a world leader in OTT streaming technology, reveals a growing dependence on streaming and therefore a new level of demand and expectation which, if left unmet, may have viewers switching off. New Zealand’s new Freeview On Demand service provides viewers with a major upgrade to the previous FreeviewPlus platform with seamless browsing, effortless streaming and optimised playback of TVNZ, Three and Maori Television content. Developed by leading Over the Top solution provider Switch Media, the On Demand service commenced a rolling launch earlier last month to replace the previous FreeviewPlus offering. As proud OTT service provider for Freeview AU, Switch Media is thrilled to have facilitated end-to end delivery of the award-winning Freeview Plus service upgrade. Winning Best TV/Video Upgrade or Launch at the international 2018 Connies Awards in London, the upgrade was designed to make content discovery easier than ever before, with a simplified user experience, additional features and a fresh look and feel. While Netflix dominates, new research shows that ABC iview and SBS On Demand are the other significant contributors to the growth of streaming services in Australia. The research - undertaken by Stable Research on behalf of Switch Media, a world leader in over the top (OTT) streaming technologies - found the highest uptake of ABC and SBS is from older Australians, with 70% and 67% of over 65-year-olds watching iview and On Demand respectively. SpotX, a global video advertising and monetisation platform, today announced a compatibility with Switch Media, one of the world’s leading cloud-based streaming companies, to power server-side ad insertion (SSAI) for personalised advertising across live, sports, events and video on demand (VOD). The solution is part of AdEase, Switch Media’s multi-screen, digital product offering. An in-depth view of media viewing habits, perceptions and expectations, and of the streaming landscape globally. AdEase is a server-side ad insertion solution with advanced anti-ad-blocking and audience targeting capabilities. Switch Live is a framework for capturing, encoding and publishing live streaming video content to any screen or device.